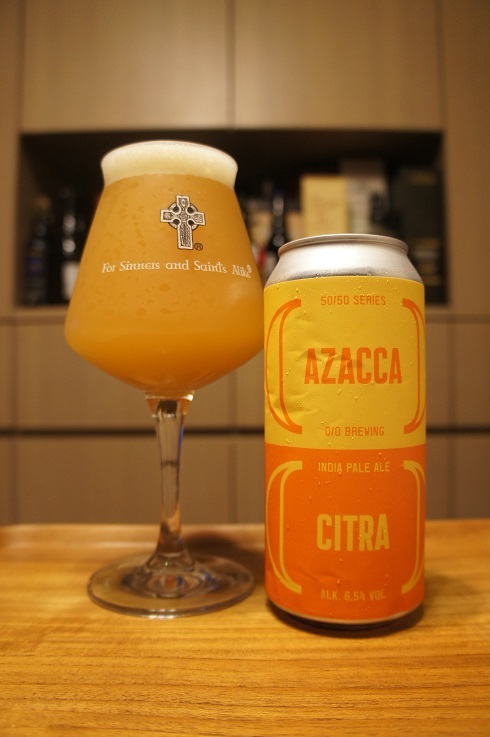 Brewer Description: (from can) 50/50 Series: Azacca and Citra hops. 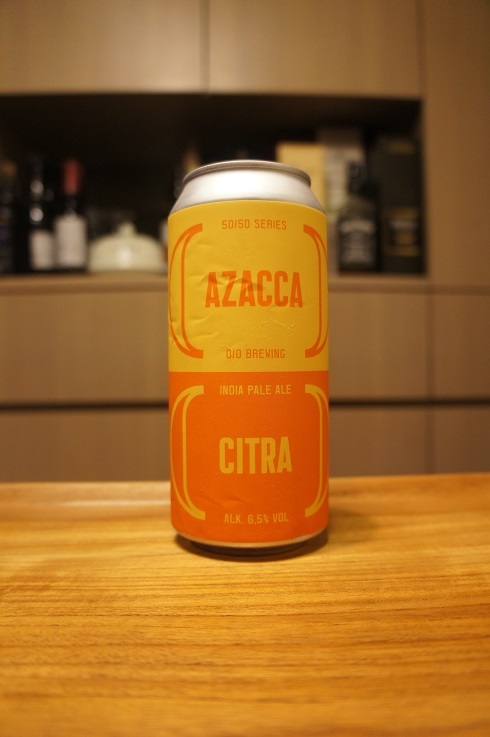 Intro: A 440ml can, canned on 20th November 2018 and with a best before date of 22nd May 2019. Poured into a Lost Abbey teku glass. Appearance: A hazy orange colour with a one finger white head that had pretty good retention and left some nice sticky lacing. Aroma: Apricot, yoghurt, milk candy and citrus rind. Taste: Sweet, tropical fruit, apricot, pineapple, lactose, milk candy, slight bitterness, citrus rind. Overall: Fruity milk candy sweetness was perhaps a bit too sweet for me. The light bitterness wasn’t enough to fully balance it out.